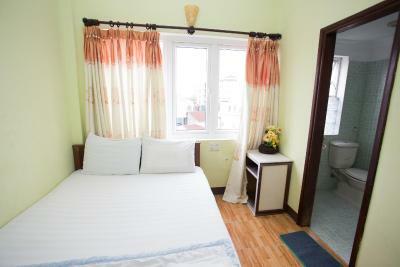 Lock in a great price for Sunny Fine Guesthouse – rated 8.7 by recent guests! 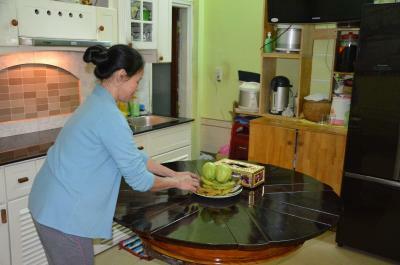 The family that runs the homestay are really nice! Toan is very helpful and he likes to have everything clear with the money. 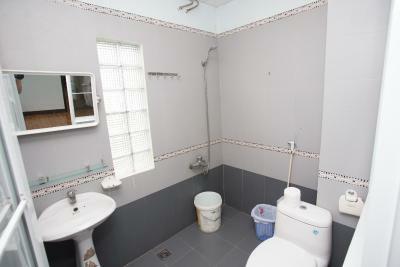 Is a really good location near everything. 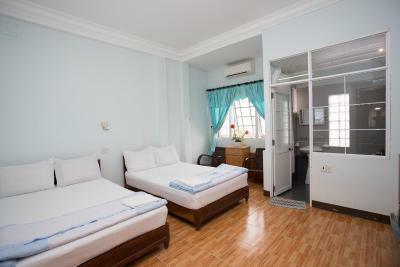 The room was clean, the air con was working perfectly. Worth for the money. 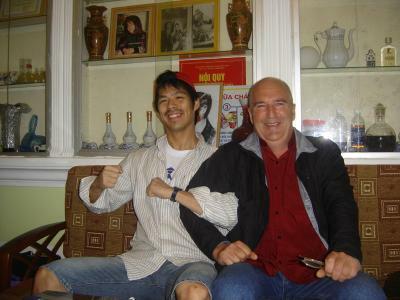 Toan was a truly great host, very nice, caring and arranging. Convenient and quiet location. 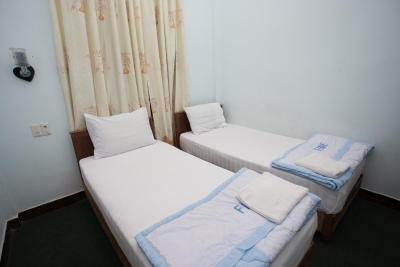 The rooms have everything you need and the hosts are nice and helpful. Super friendly and helpful staff! If you like a lot of fruits have your breakfast here with nice yoghurt. 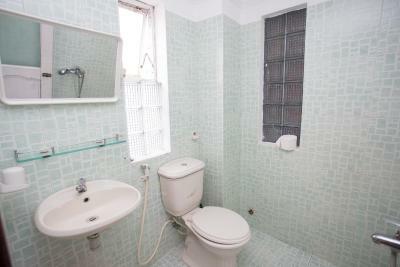 You have to be ok with the windows in the bathroom. There is a curtain but recommend sharing with people you really know. The room had a very nice style, almost European with its front windows. Very clean overall. Family fun. Definitely stay here. 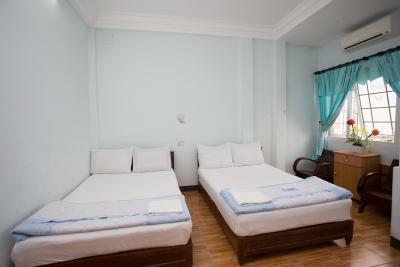 Great price, rooms are clean and nice (a bit small, but we have 2 huge bags and we’re fine for 3 nights). The family are super friendly and very helpful! 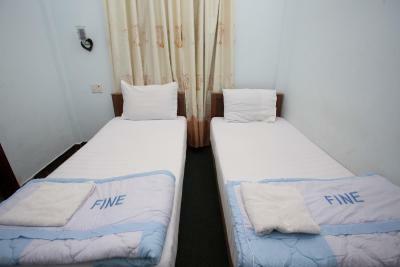 Friendly staff, no issues with room, location good. The owner is really kind and helpful. 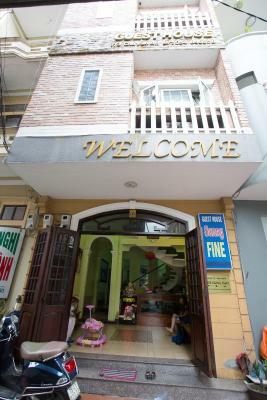 The best guesthouse I have been to in Vietnam so far! Located within 1,650 feet from Huong River, Sunny Fine Guest house offers simple and comfy accommodations with free WiFi access throughout the property. 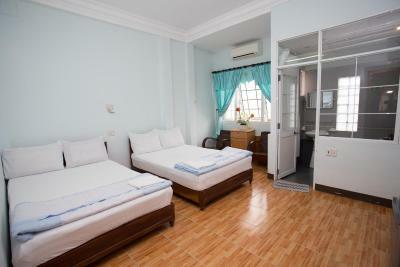 It operates a 24-hour front desk and provides bicycle/car rental services. 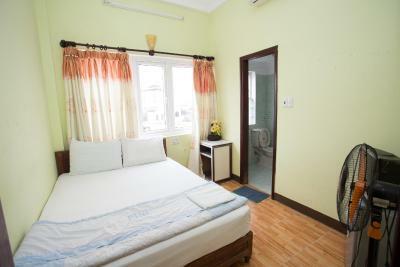 Simply furnished, air-conditioned rooms come with tiled flooring, a fan, clothes rack, a mini-bar and a TV with cable channels. 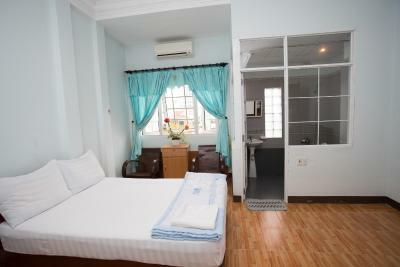 Rooms include a private bathroom with shower facility, slippers and free toiletries. 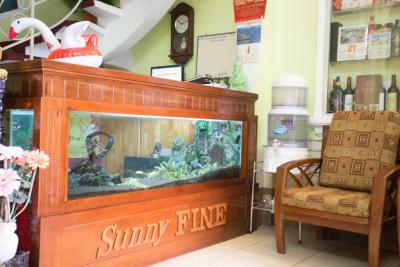 At Sunny Fine Guest house, the friendly staff is happy to assist guests with luggage storage, laundry services and tour arrangements. Airport transfers can also be arranged at extra charge. 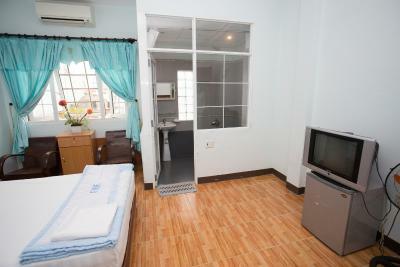 The property is 2,650 feet from Dong Ba Market and Trang Tien Bridge. 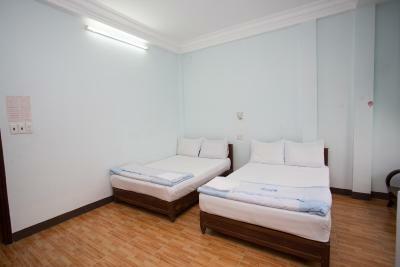 Royal Citadel is about 0.9 mi away, while Phu Bai Airport is accessible with a 8.7 mi drive. 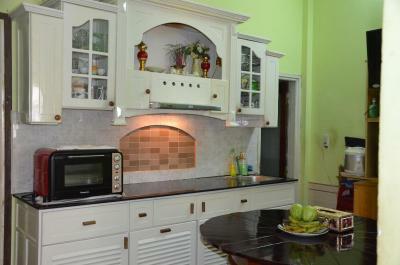 뀐 Located in the top-rated area in Hue, this property has an excellent location score of 9.1! 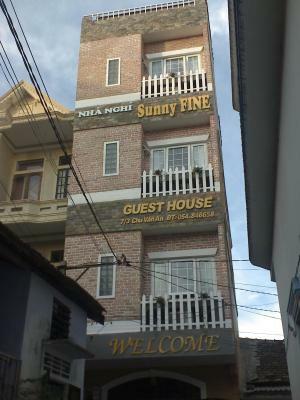 When would you like to stay at Sunny Fine Guesthouse? 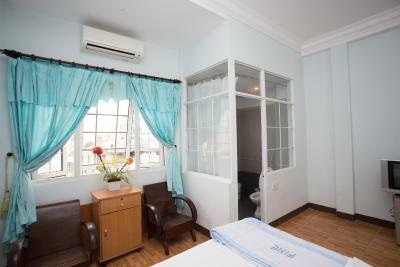 To keep the air in this room fresh, this room comes with a ventilation fan, but no windows. 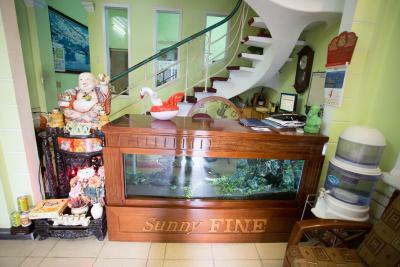 House Rules Sunny Fine Guesthouse takes special requests – add in the next step! Debit card Sunny Fine Guesthouse accepts these cards and reserves the right to temporarily hold an amount prior to arrival. 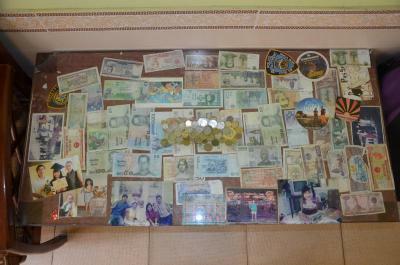 Sunny Fine Guesthouse accepts these cards and reserves the right to temporarily hold an amount prior to arrival. A bit noisy from the street. 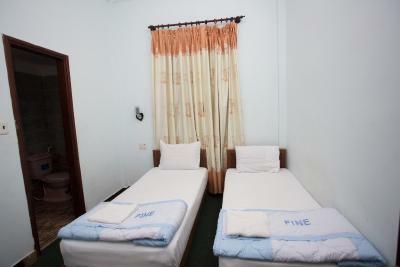 But that’s how most guesthouses and hostels are. 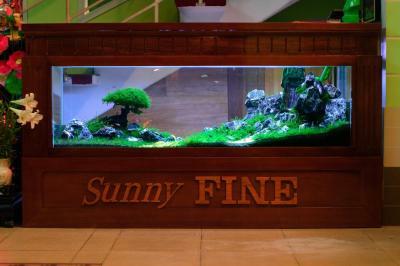 The owner and the employees were very nice! No atmosphere at all. It's not a place to stay by yourself. If you are with someone, go for it. Staff spoke almost zero English. Fridge did not work. 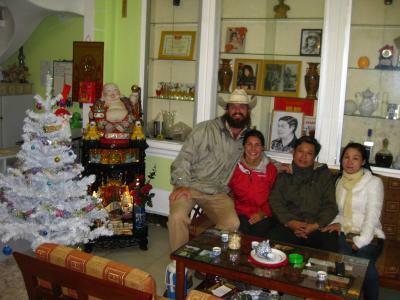 Toan and his family were lovely hosts. Our room was spacious, clean and had good wifi. The guest house is located in a great spot. 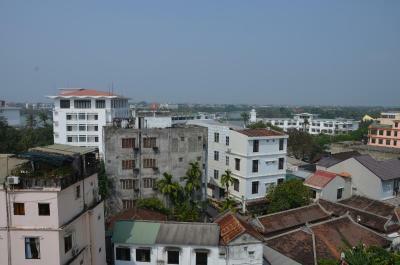 It’s about a 15 minute walk to the citadel and is located right near the main area of bars and restaurants. Toan also booked our train tickets and organised a taxi for us. Workers in hotel really nice and helpfull , they speak english well. Good brekfast. 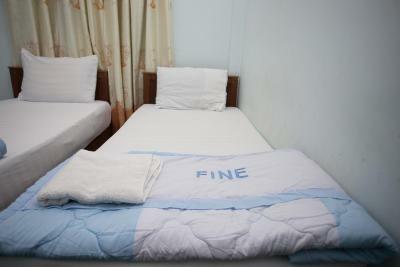 The guesthouse is outdated. There mould in the shower, in the walls in the room and even in the sheets on the bed. Great owner, he was very helpful. 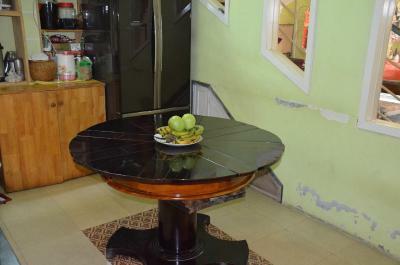 It is a bit outdated but good location, and value for money. The bed sheets smelled a little mouldy... we were not sure if they had been washed. 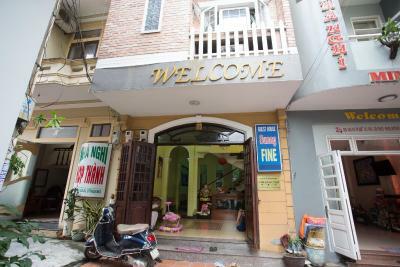 Friendly staff, they spoke english very well and were very considered. Comfortable beds. 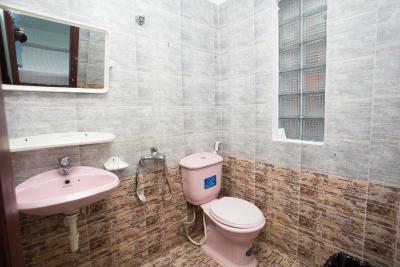 Clean rooms and nice toilets.